Peaceful sleep is a problem for most people, but when you have a small apartment, this problem may even worse, which is why this Ideabook focusses on the studio apartment. 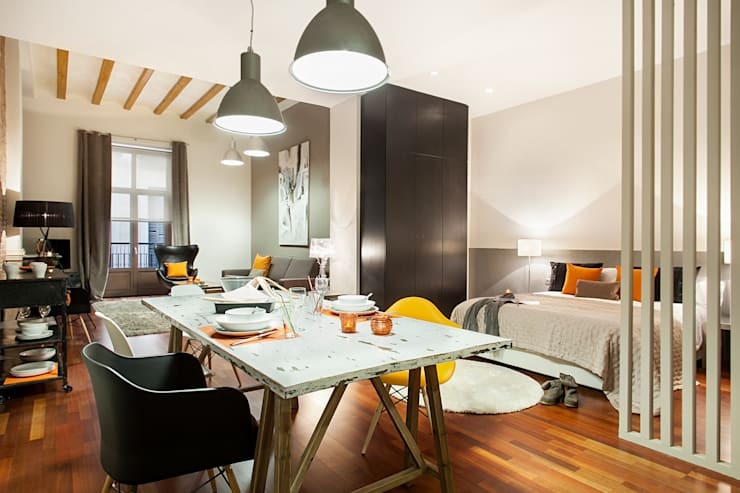 Usually this is one room apartment that can looked cramped and filled with clutter if decorated incorrectly. Today, we look at some fantastic partition ideas that will make you small space a little more private and even looking a bit more spacious. The ideas included in this feature are however not limited only to studio apartments, but can be incorporated into any small living space that lacks privacy. A partition such as this fits perfectly in with the décor of this bedroom, it is cleverly disguised in the same colour as a wall, but is actually a closet. 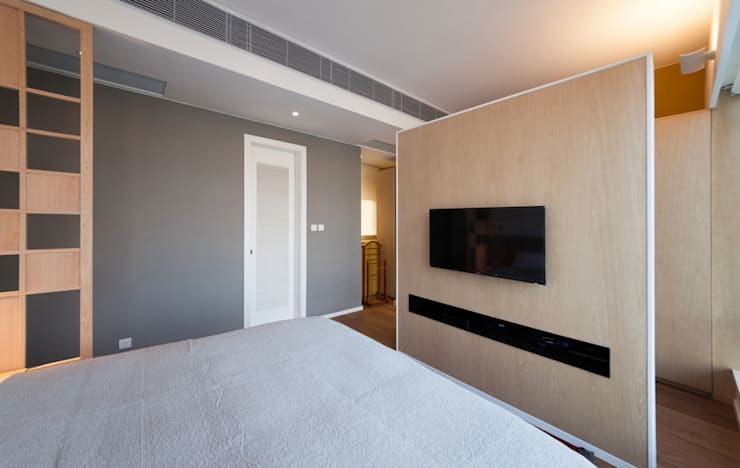 The small wall incorporated into this bedroom doubles up as a partition, but it is actually storage for the wall mounted TV unit. Chic and fantastic! 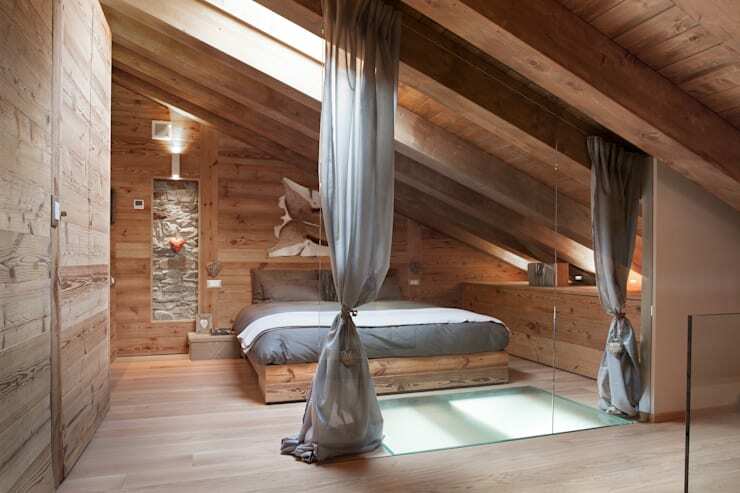 This sleeping loft is cosy, simple and elegant, yet the interior designers decided to create a private space by adding floating timber beams for an unusual yet light filled décor. 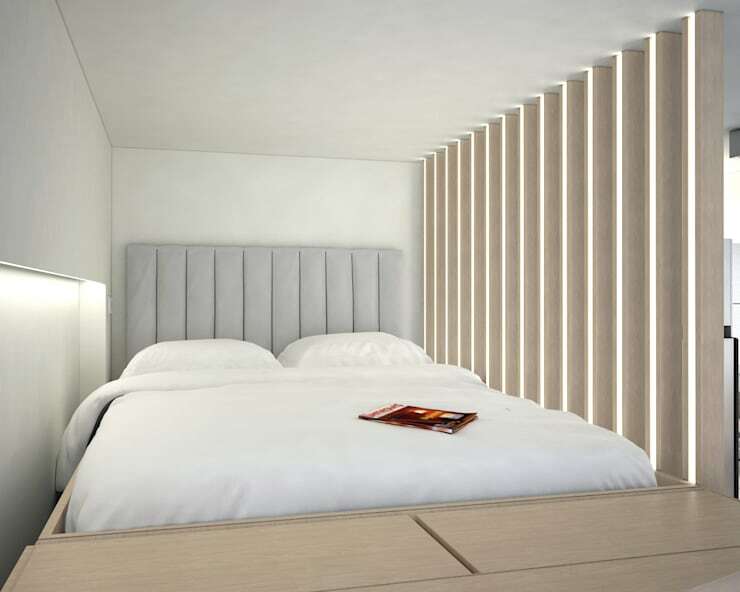 These floating timber panels accentuate the ceiling height of this one bedroom apartment, acting as a psychological boundary that separates the sleeping area from the living space. Another great way to separate spaces is by adding a sheer floor sweeping curtain to the décor, it’s dramatic, romantic and so airy. These black framed glass panels are chic and trendy, allowing your home to look seamless and striking, while still filling the interior with natural light. 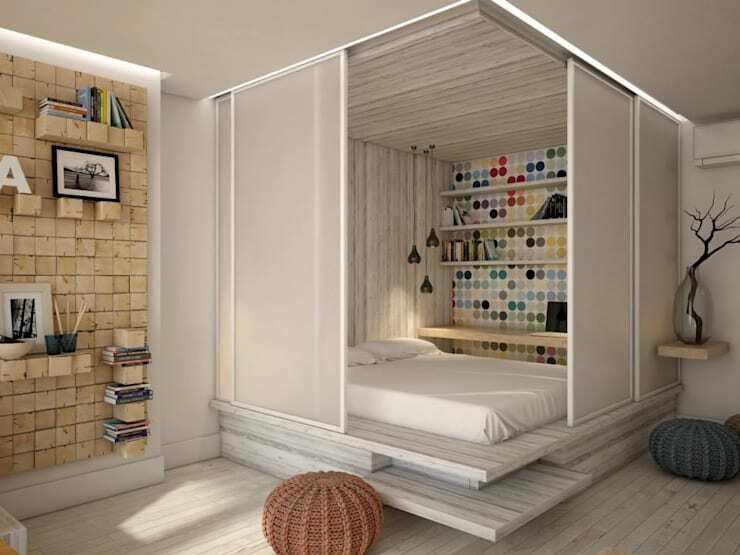 This idea is great for maintaining privacy, especially in an apartment of this size, since the bed is elevated it gives a loft-like feeling, while the semi-transparent doors are unbelievably stylish too. 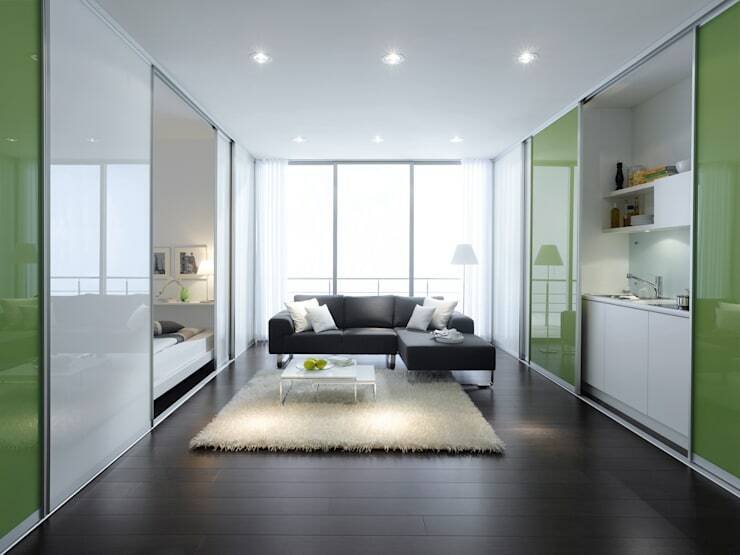 These sliding doors add sleek style to the studio apartment and act as not only sensational partitions for sleeping areas, but also make the décor so much more glossy and attractive, creating a tidy and uncluttered design. If you are in need of more decor inspiration, then here are: 8 hot and exciting modern bedroom designs. Have you used partitions such as these to separate spaces in your home?